Online reputation management plays a very important role in building the perception of a brand and in ultimately driving business results. It goes without saying that customers are the heart of every business, irrespective of the latter’s size, and niche. It is only by providing good customer service that a business can first survive and then flourish. Good customer service can further drive extreme loyalty and create positive word-of-mouth from satisfied customers. Now, the question is– how do you ensure the best customer service for your clients? Customer satisfaction can be achieved best by maintaining transparency and delivering what your promise. If you can’t do it, staying in the game would be next to impossible. Another essential for creating an amazing customer experience is a courteous and strong customer service team. A reliable customer service team deals exclusively with the customers and plays a pivotal role in defining your company’s growth. For availing the best Reputation Management Plans in Dubai, you can get in touch with UAE Website Development. 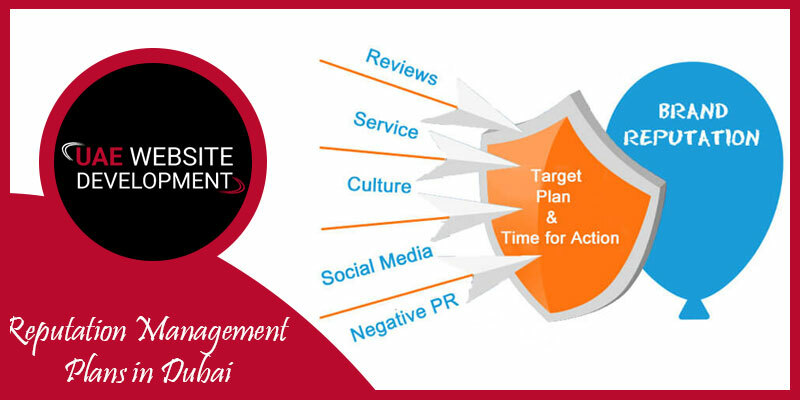 We will provide you with the most effective Reputation Management Packages in Dubai. Google works on a complex algorithm to find out which search results appear on what page. High Page Authority pages appear on top of the search results while low Page Authority pages come in the bottom or sometimes don’t appear till the very bottom. Reputation management companies boost Search results by improving the authority and search visibility of positive content to build a good Online reputation of any company, product or individual. Monitoring online mentions of an individual or company. Publishing real content on websites having good traffic and high search engine authority. Optimizing existing websites and social media profiles to rank higher in the search results for select keywords. Contacting the source to edit or remove negative content. Filing a formal complaint with the search engine or webmaster. 2. Remember to follow up: Just because you issue a refund or replacement—or take some other action to satisfy the customer—doesn’t mean your job is done. Follow up is critical. Revisit the social media forum where the original complaint was lodged, thank them for calling out the issue, and demonstrate to the masses that there was a positive resolution. Also, take the opportunity to privately ask if they are satisfied with the resolution. 3. Watch for trending topics: A single complaint is one thing, but a trend of positive or negative feedback about a specific aspect of your product or service is quite another. Use your social listening software to watch for trending topics so that your customer service team can reach out with solutions and pass on what they’ve learned to product development and marketing before sales begin to decline. 4. Focus on what matters: Inevitably, you’ll encounter someone with nothing better to do than to harass people online. As you continue to build your social customer service skills, you’ll get better at quickly identifying these types of interactions. At the end of the day, you can’t be all things to everyone, so it’s important to pick and choose your battles. That being said, it’s equally important not to let a genuine issue go ignored. Sometimes, just a few quick seconds of research on someone can help identify patterns in a person’s online behavior. If it walks like a troll and talks like a troll—it’s a troll. Move on to bigger and better things. Ring us on our helpline number[ ] at your convenient time and we will provide you the best Reputation Management services you need. Send us an email regarding your queries on ORM or join our experts in a live chat session.